The focus of this unique CD is the ensemble sound. This group is incredibly tight. The three players, with the bassists sometimes preparing their strings with various objects to create unique timbres, create a big, assertive block of sound, a multi-textured drone with a varied surface. The music is intimate, concentrated, rather than menacing, and details reveal themselves deep within the collective sound. 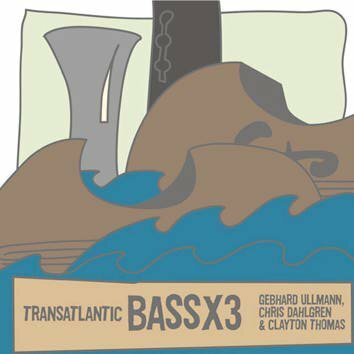 Gebhard Ullmann is one of the most prolific and creatively fertile composer-improvisers working on either side of the Atlantic and this CD is one of his most original works.